Inauguration- Luncheon Menu - US Capitol Jan 20th 2009 #inaug09 , originally uploaded by shashiBellamkonda. 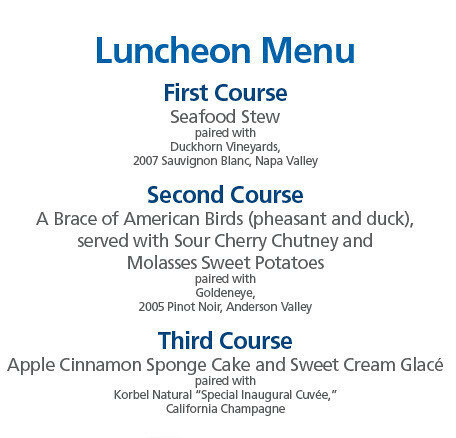 You can download the recipes here http://inaugural.senate.gov/luncheon/index.cfm. This was the most visited part of the Inauguration website.